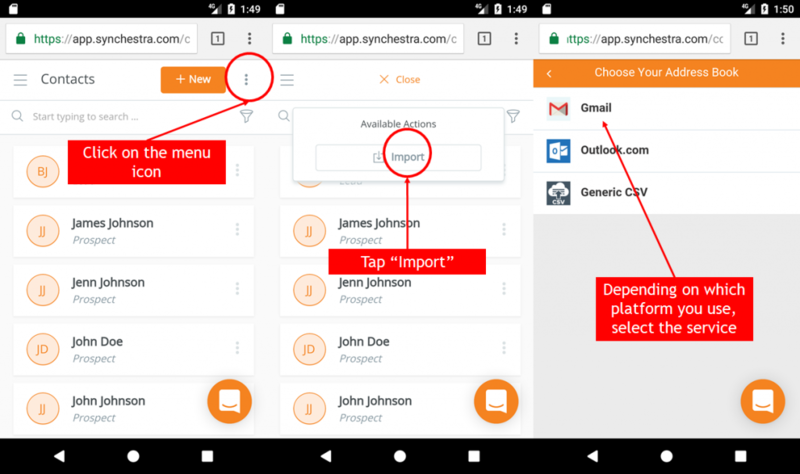 Synchestra is not an app, it’s also not a platform. 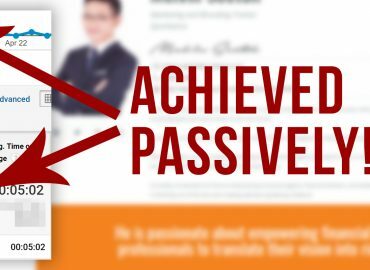 It’s an entire system for you to sell more and build your business on! Now that we’ve got that out of the way, what’s the first thing you need to sell? That’s right, it’s people to sell to! Synchestra comes with what we believe to be the most robust contact management platform for financial sales professionals to better organize, plan for, and even engage your clients. But for that to happen, you need to start adding contacts in! First, make sure you’re on the Contacts screen. 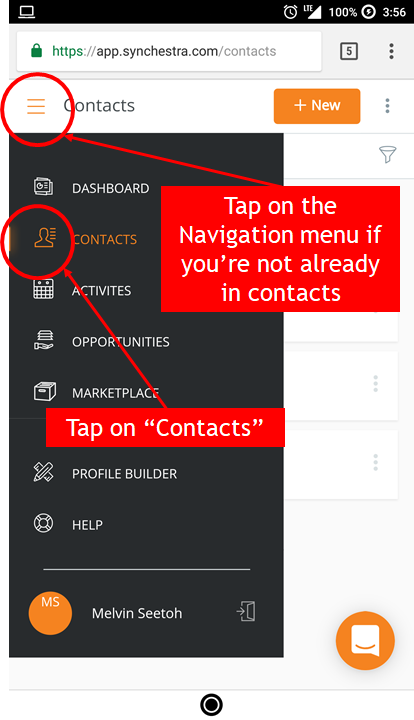 Just click on the navigation bar and select contacts. 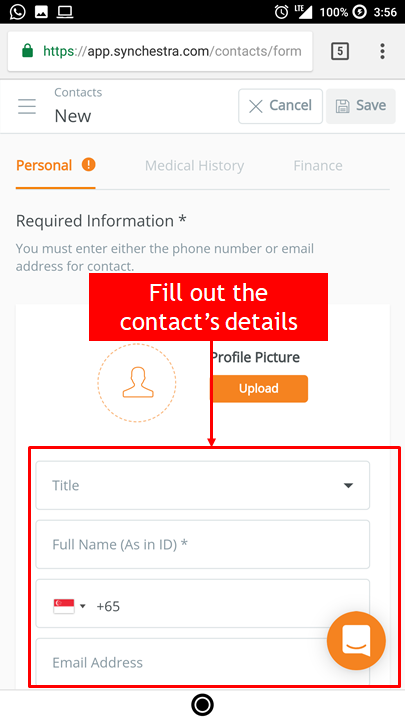 You should add your first contact right away, just click on “+New” to start! And go ahead and fill out the contact’s details! 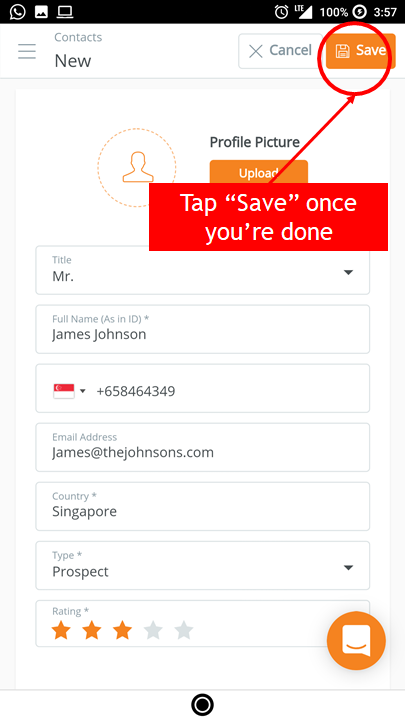 Next, hit “Save” and you can see many more fields. This might be for your own reference now, but as we build on to Synchestra’s platform, you’ll be able to do much more! Now you might be thinking, “you mean I have to do this over and over for every contact? Not really, we’ve got you covered! 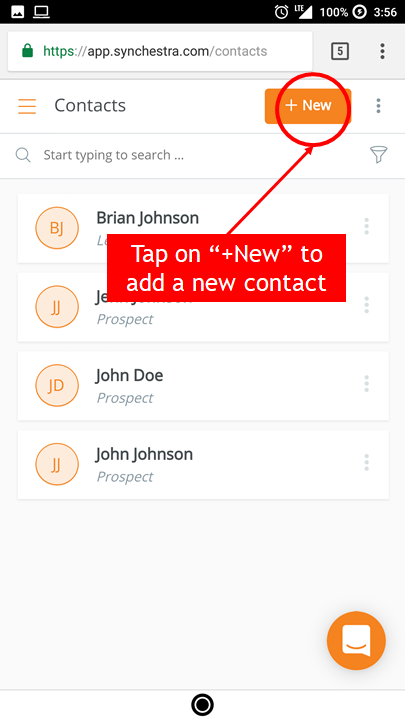 If you’re at the contact list, you might notice 3 dots (like every app, options are always shown as those 3 dots!) at the top of the screen, go ahead and tap that for more options. Next, tap “Import”, and proceed to choose a service you’re used to. 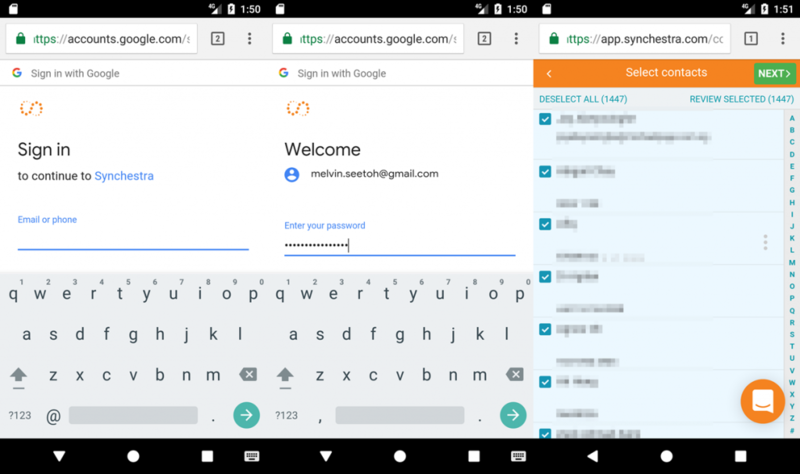 You’ll be prompted to log in to the service, so just put in your log in details, and you can start to select the contacts to import, or even import your entire contact list! 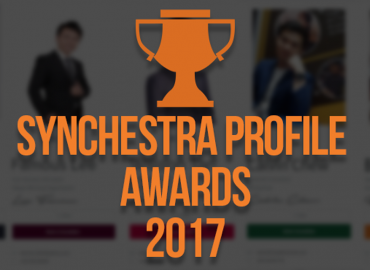 By having all your contacts on Synchestra, you can proceed to rate them as required! 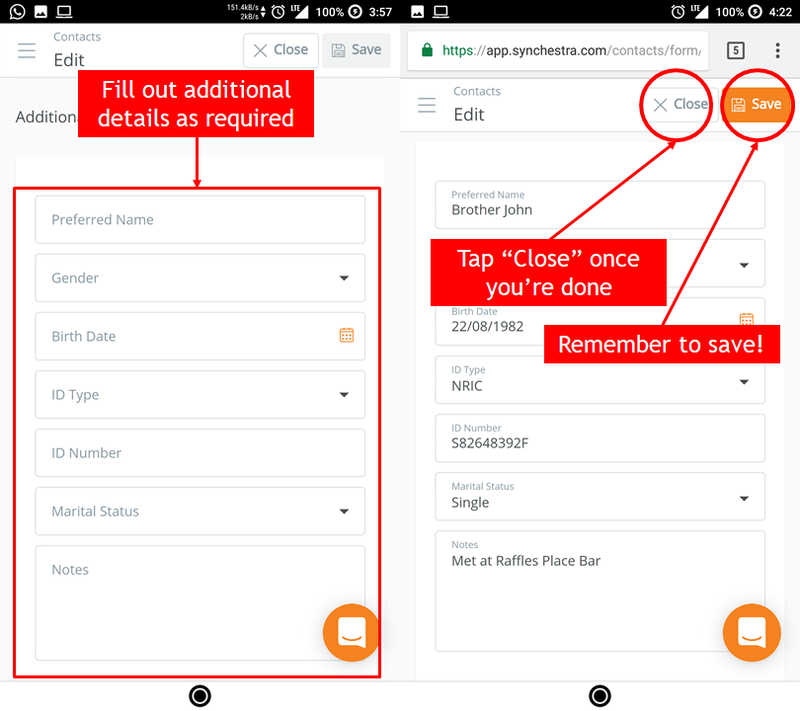 Once you hit next, all your contacts will appear within Synchestra, and you can proceed to add more details! Remember, importing contacts is just part of the work. You will still need to go into a particular contact to either create an insurance summary or snap their policy details to do it without spending any extra time at all! We’ll catch you again in the next tutorial!